Introducing the Marine from Swiss startup, Laventure, a brand based in Neuchâtel and whose timepieces are manufactured in La Chaux-de-Fonds, Switzerland. The Marine isn’t your typical divers watch with a timing bezel; however it is endowed with enough divers features and nautical references to satisfy. It even has a cute octopus engraving on its caseback, right where its water-resistance rating is. Besides this, just look at it – what a beauty! The first thing to strike you when you first encounter the Marine is its beautiful sandwich dial which boats vintage-style beige lumed markers and corn-dog-style hands. 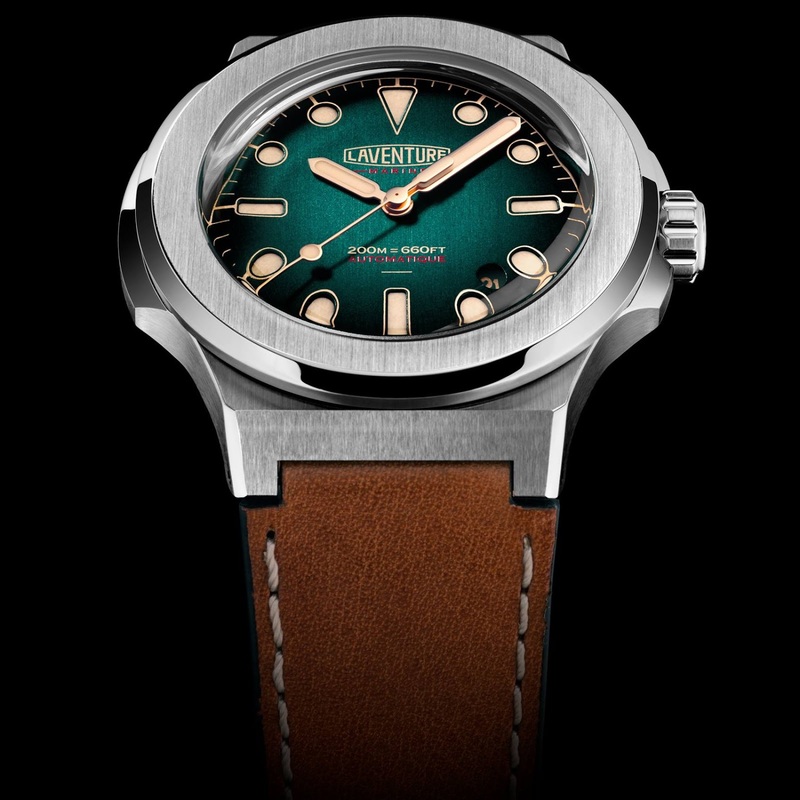 The dial which is available in three colors: black, brown and green has a photo-luminescent lacquer applied to with the color graduated out from light to dark. 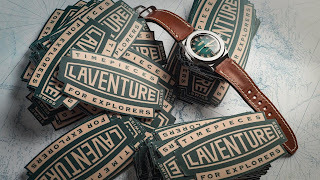 Then there’s the LAVENTURE logo, somewhat reminiscent of the old Heuer logo from the 60s or even a vintage Camel Trophy / Adventure logo. It’s cool! 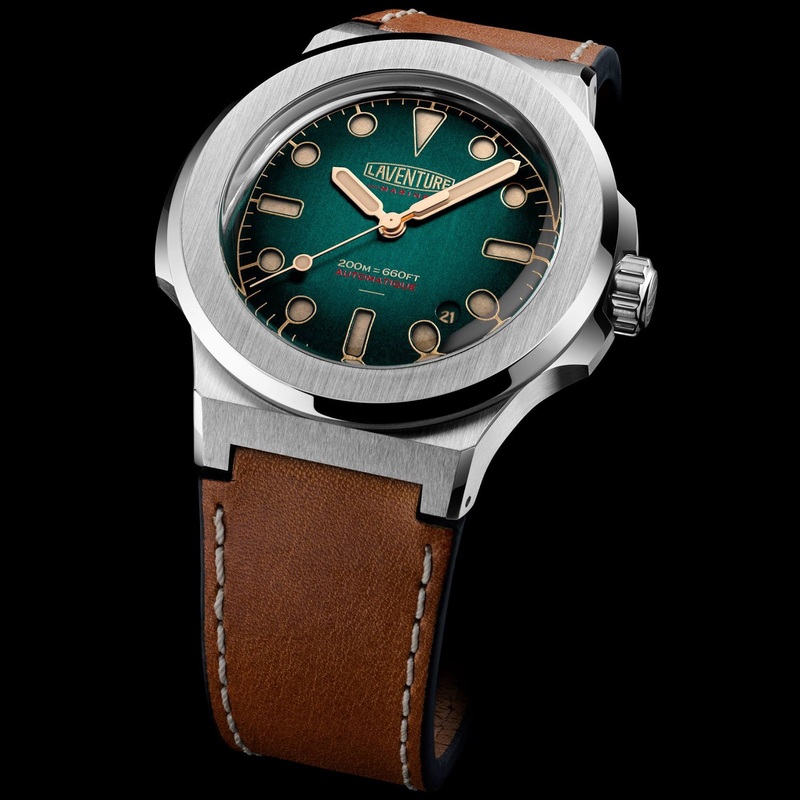 The case reminds me of a Patek Nautilus. 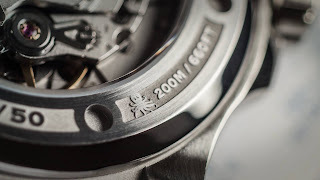 It has a diameter of 41mm and a thickness of 9.8mm. It is constructed from 316L Stainless steel. 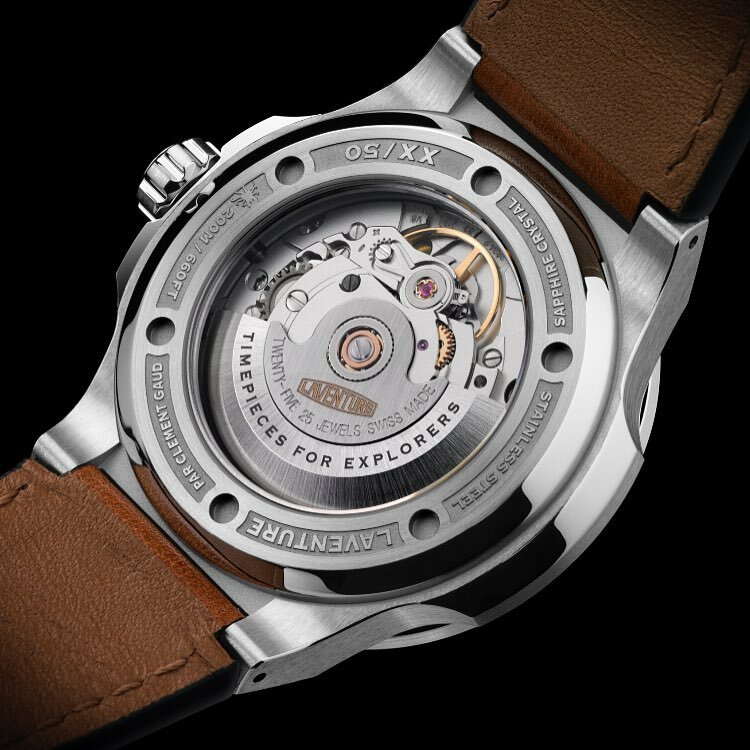 Divers features include: a screw-down exhibition caseback and crown, a domed Sapphire with a high-degree anti-reflective treatment and 200 meters of water-resistance. The Lavenure Marine is powered by a Swiss ETA 2824-2 and has been executed in a series of 50 pieces of each color. 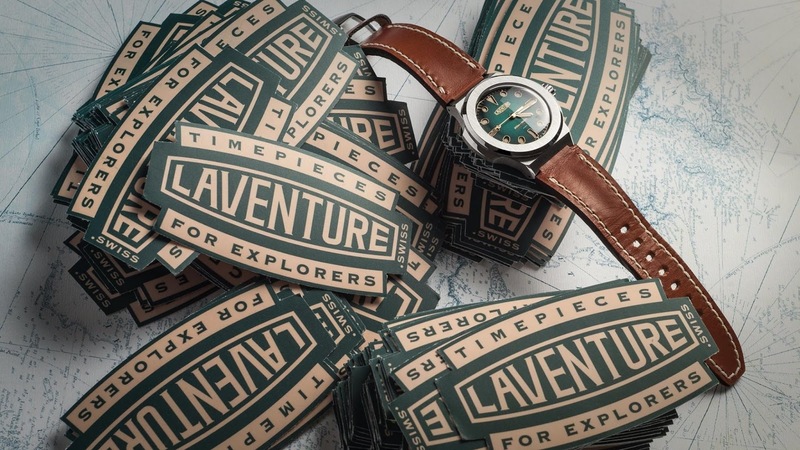 These are delivered in charming color-coded classic Jules Verne book-style cases. Full details can be found HERE. So what do you think? You have to give credit where credit is due – these are really nice.